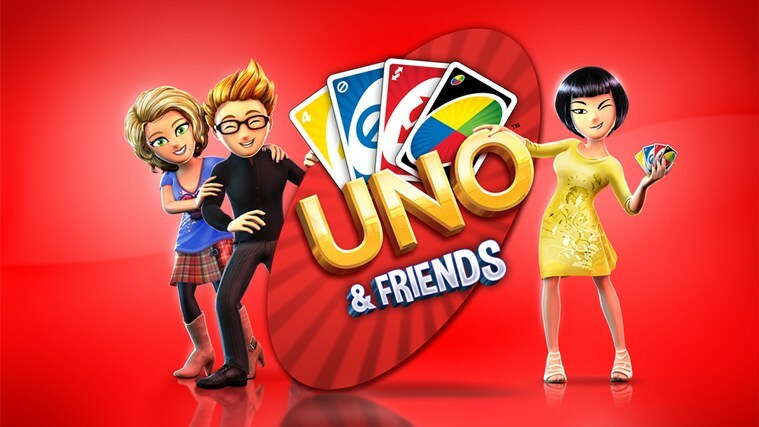 UNO and Friends is now available to download on the Windows 8 platform for free - as is it's Windows Phone counterpart. UNO, the world's most beloved card game, introduces a brand-new free social experience. Playing UNO with friends, family, and millions of fans worldwide has never been easier! Join one of the largest free online mobile gaming communities and enjoy an all-new free multiplayer experience, competitive leaderboards and fun customization options that let you shout UNO! on a whole new level. GAME FEATURES: - Easy to learn, difficult to put down. - Create games and invite your friends to play. - Challenge millions of UNO fans worldwide. - Utilize Boosts & Super Boosts to diversify your strategy. - See how your card skills rank on the leaderboards. - Compete in weekly contests to win rewards. - Customize your UNO game with backgrounds, card deck designs & special effects. - Play online multiplayer matches over 3G or Wi-Fi.